We train in 2007, 2010, 2013, 2016 versions. The table below provides a summary of our Publisher training courses. You can click on the course outline button for a PDF document with more details. 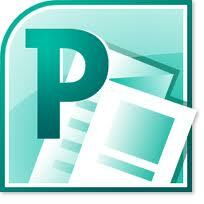 1 Day This course is designed for participants who are new to desktop publishing. You will learn how to create, edit, format and print publications; work with frames, views, screen features, layout guides, rulers, backgrounds and Templates; insert tables, graphic, clip art, drawing objects and text frames; and explore Publishers many time-saving features.